Not sure what your house is like, but in my home my pet rules. Furniture is moved around to accommodate for my pet and I’m sure it’s much the same in your home too. You always know which is the most comfortable chair or couch in the house since your pet claims it as their own. Now with one of our custom pet beds, you can reclaim your favourite chair since your pet will now have one of their own. 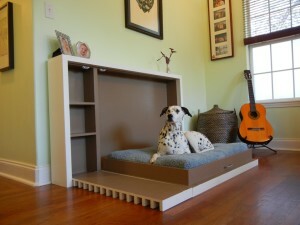 Consider making your pet bed like a real piece of furniture so that it blends into the rest of your home’s decor. Whether it be a dark wood or a painted surface, we can make you a pet bed that is suitable for your king or queen feline or canine buddy. 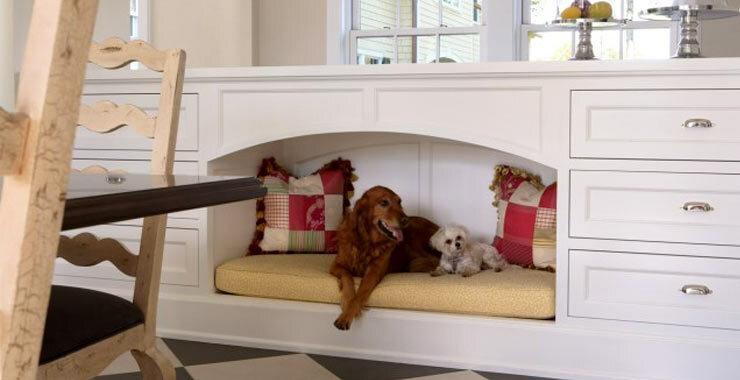 If space is a consideration, perhaps you should have a pint-size murphy bed or wall bed with additional storage for anything your furry person needs. We’ve installed many of them into homes of the last few years so why not something on the smaller side for your pet. Basically there are three types of beds you should be considering for your pet: orthopedic cushions, or really plush cushions or flat cushions. Keep in mind as your pet ages, hip issues or hip dysplasia can be come a major consideration. To help alleviate and make it easy for your pet to be comfortable, thick cushions or an orthopedic cushion are a necessity. Some dogs really like to sink into cushions, being almost submerged. 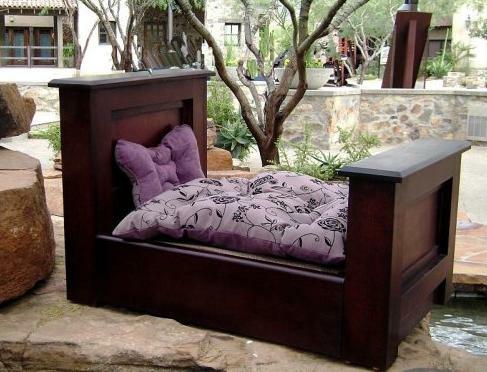 For cushions such as that, you need some higher walls on the sides of the bed. The last bed is for dogs that just like to sprawl therefore a flat cushion works best. A large platform would work best for these dogs as well so they can stretch out. 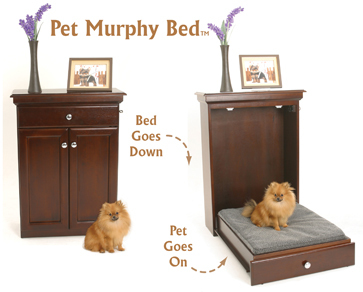 Whatever type of bed you decide on for your pet, keep in mind a few things. Don’t locate your pet’s bed where the traffic is heavy. You want your pet to relax and sleep on the bed and in most cases, the bed becomes a safe haven for your pet. Almost guaranteed, most of their toys will end up there (smile). Depending on your pet, a slip cover might be a great idea for the cushions. I know my cat was a great fur depositor on furniture in the entire house and such was the same for his bed as well. Cushions should be washed periodically as well since pets invariably will have fleas. To help fix that, consider encasing some cedar chips in a separate liner inside the cushion.